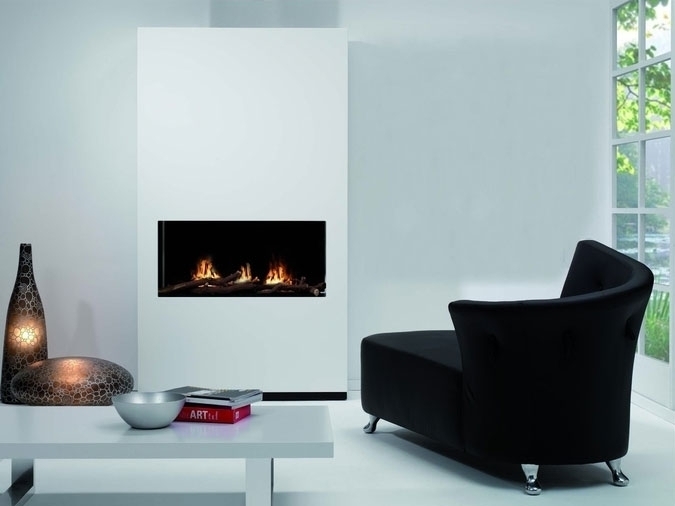 Character of the interior determines the particular type of an ethanol fireplace. While considering the purchase it is worth following a few basic principles. In case of a large area built-in ethanol fireplaces match well, as they look like traditional fireplaces, and the fire looks better from a further distance. In this way, it is more exposed and is the main decoration of the room. Small size free-standing fireplace will look better in smaller rooms. Its furniture nature gives us the possibility to move it easily to any place. Wall mounted ethanol fireplaces with large panes of glass that transmit light, visually enlarging the room, also fit small spaces. However, it’s good to remember not to create competition for them in the form of paintings hanging on the wall or the TV. Then we achieve unnecessary glut. For the rooms decorated in a contemporary style it is good to choose the ethanol fireplaces with simple, geometric shapes. In such spaces an interesting suggestion are ecological fireplaces built into the recess of the wall, free-standing of economical form or wall mounted in a minimalist version. Whereas built-in ethanol fireplaces imitating traditional fireplaces with classic structure and stone finish go well with the stylish interiors. An interesting idea in this case are also hanging fireplaces with a decorative, exposed frame, reminiscent of the paintings. For classic designs it is a sophisticated and dynamic wall decoration. The purpose of the room may influence the choice of the ethanol fireplace, but it is not as important as the size or style of the interior. As a matter of fact every type of ecological fireplace is good for the salons and living rooms. It must be exposed properly and fulfil its decorative and heating function. Such an ethanol fireplace is to be the focal point of the room so that the member of a household could gather around it. However, in the bedroom it does not have to be so emphasized. In this case, it is important to gently point out the intimate nature of the interior. We may achieve such an effect thanks to the hanging ethanol fireplace or built in the recess of the wall.